Crystal also promotes social responsibility, offering free excursions during which passengers can participate in a local volunteering effort -- for example, helping in a school or working on a neighborhood cleanup in an underprivileged area. Donations are made towards the preservation of fragile or historic sites visited on shore excursions. Crystal Cruises offers an intriguing, hybrid-style cruise experience. With its two cruise ships, the smallest of which carries 848 passengers, the upscale line has carved out a niche that offers the amenities and activities associated with larger vessels, as well as top-notch dining and service that are part of a luxury experience. The line was founded in 1990 with Crystal Harmony as its first ship. Crystal Symphony soon followed. Crystal Serenity debuted in 2003, and Crystal Harmony departed from the fleet two years later. Beyond its well-deserved reputation for dining, service and big-ship options, Crystal Cruises is particularly known for signature features that include onboard sushi bars, huge wine cellars, paddle tennis, expansive Computer University @ Sea labs and one of the best enrichment programs in cruising. And while its children's facilities can't hold a candle to big-ship lines like Disney Cruise Line and Royal Caribbean, Crystal offers the best program for children in the luxury market. In 2012, Crystal caught up with the rest of the luxury cruise industry by making its fares more inclusive. Fares cover beverages (including fine wines and premium spirits, plus all non-alcoholic beverages such as bottled water, soda, juices and specialty coffee drinks); gratuities for housekeeping, dining and bar staff; and one meal in each of the ships' specialty restaurants and sushi bars. In March 2015, Crystal was sold to Genting Hong Kong, which owns Star Cruises. As a result of the acquisition, Crystal has embarked on a period of rapid expansion. The line launched a 62-passenger yacht, Crystal Esprit, in December 2015, and will debut an expedition-style mega-yacht with polar capabilities, named Crystal Endeavor, in 2020. The line has also branched into river cruising. Crystal River Cruises launched its first ship, the refurbished Crystal Mozart, in 2016; the fleet will total five by mid-2018. Crystal has also moved into the aviation business with the launch of Crystal Luxury Air, which flies a 12-seat Bombardier Global Express XRS jet for private charter, and Crystal Skye, a specially configured and outfitted Boeing 777-200LR. Crystal's biggest challenge is in, ironically, the main feature that differentiates it from smaller-ship luxury lines like Seabourn Cruise Line, Silversea Cruises and Regent Seven Seas Cruises: With bigger ships carrying more passengers, how does it successfully offer exemplary service, outstanding cuisine and freedom of choice on such a large scale? Usually, it manages. Beyond the company's innovative programming and ship features, it has one of the industry's highest passenger-to-staff and passenger-to-space ratios, and, perhaps not coincidentally, one of the most loyal repeat passenger bases afloat. There's a huge positive to Crystal's biggest-ships-in-luxury-class status as well; there are simply far more options, in terms of entertainment, socializing, casinos, spa and fitness facilities, activities and enrichment opportunities, than there are on its smaller luxury brethren. Perhaps the biggest dilemma that has faced Crystal Cruises in the past is the fact that, of all the luxury lines, it's the only one to have two set dinner seatings in the main dining room -- a mainstay of mass-market lines that doesn't necessarily appeal to the eat-when-we-want vagaries of the upper-end cruiser. This was addressed in 2011 with the introduction of the more flexible Perfect Choice Dining in the main dining rooms, where open seating dining will become available by reservation (called, not surprisingly, Open Dining By Reservation). In addition, Crystal has long offered alternatives to its main dining room; its Italian and Japanese restaurants onboard both Crystal Symphony and Crystal Serenity are outstanding, but are generally in huge demand, so make reservations as early as possible. Another wonderful alternative is ultra-casual pool deck dining at The Trident Grill on designated nights during each voyage. All dining can be pre-booked on an online system, the Priority Check-in and Planning Center, which displays a full, personalized itinerary for each passenger, including everything from restaurant reservations to spa bookings, shore excursions and even tuxedo rental. The company has been an innovator in the onboard experience -- Crystal was one of the first cruise lines (a decade ago) to embrace the concept of boutique restaurants, and it enthusiastically incorporated cyber cafes on its ships well before others (and offered how-to classes to encourage its passengers' computer skills). This innovation has been taken a step further with big-screen iMac workstations that can run Apple's own operating system or Windows, giving passengers a choice. Classes in Computer University @ Sea (Crystal's technology training for passengers) include a seminar on social media. Cabin-wise, accommodations on Crystal Symphony and Crystal Serenity -- particularly in the upper ranges -- are plush and comfortable. However, lower-level categories can feel cramped for a luxury ship at this price tag. Longer, more exotic cruises attract a 55-plus crowd, but Crystal, developing a reputation as the multi-generational family cruise line of choice for well-heeled travelers, appeals to a more diverse group of passengers for Alaska and, occasionally, Caribbean, itineraries. Clothing onboard is dressy, particularly on formal nights (good time to break out those sequins). Even on other nights, passengers tend to wear cocktail attire (women) and suits (men). During the day, elegant casual permeates. 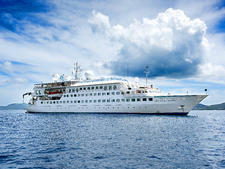 In 2012, Crystal joined the ranks of other luxury lines by going the nearly all-inclusive route. Fares now include beverages and gratuities. Starting in 2014, all members of the line's Crystal Society past passenger loyalty program now receive free Internet (at least 60 minutes free per person, per day). As previously noted, the longer and more exotic the cruise, the older the clientele (typically the 55-plus crowd). Well-heeled travellers have also jumped at the opportunity to bring their children and grandchildren onboard Crystal's family friendly ships, and multi-generational groups are common. On shorter (weeklong) trips -- mostly Alaska, less commonly Caribbean, itineraries -- the cruise line appeals to a more diverse group of passengers. 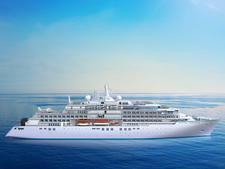 The Crystal Cruises fleet is composed of three vessels: two cruise ships and one yacht. 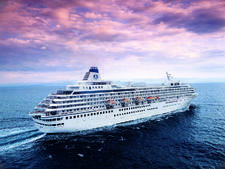 The 51,044-ton, 848-passenger Crystal Symphony was launched in 1995. 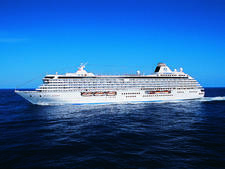 Roughly a third larger, the 68,000-ton, 1,080-passenger Crystal Serenity debuted in 2003. The line has committed significant funds to the refurbishment of both ships; Crystal Symphony's overhaul was completed in 2017, with Crystal Serenity slated to go under the knife in late 2019. The cruise line plans to expand its cruise ship fleet with new 800-passenger Diamond Class vessels in 2022. A 62-passenger yacht, Crystal Esprit, joined the fleet in December 2015. An expedition-focused megayacht, the 200-passenger Crystal Endeavor, is set to launch in 2020.